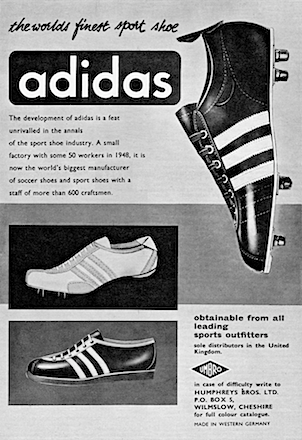 The development of adidas is a feat unrivalled in the annals of the sport shoe industry. 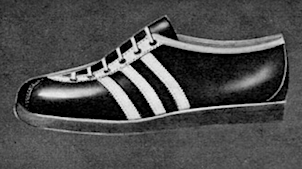 A small factory with some 50 workers in 1948, it is now the world’s biggest manufacturer of soccer shoes and sport shoes with a staff of more than 600 craftsmen. obtainable from all leading sports outfitters. 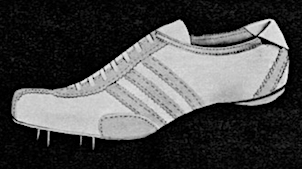 sole distributors in the United Kingdom. 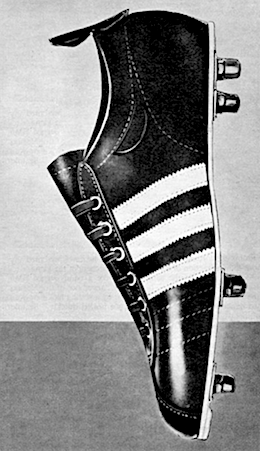 adidas Soccer Boots "The New Look The Shoe of the Year"